Are you like a lot of kids today? You finish your school day and are off to one of many after-school activities you enjoy. 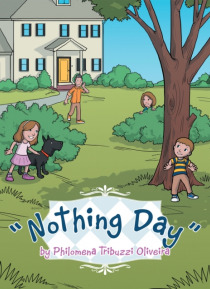 In author Philomena Tribuzzi Oliveiras "e;Nothing Day"e;, Alex and Louie participate in many after-school activities. When their mother picks them up after school, they are anxious to find out which activity they will go to that day. Will it be gymnastics, swimming les… sons, or soccer practice? Imagine their surprise when their mother tells them its nothing day. The family is going to enjoy spending time together. "e;Nothing Day"e; shows childrenand parentsthe importance of taking time out of their busy schedules to spend quality time with their family. Time goes by so fast, and daily life/schedules are extremely demanding. "e;Nothing Day"e; reminds families to spend time doing something together.